A YOUNG man has accelerated his career by overcoming tough circumstances – and has paid special thanks to his work family. 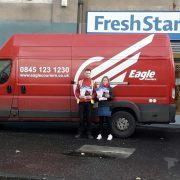 Sixteen year old Samuel Milne from Milngavie started his journey with Eagle Couriers in 2015 as he took on work experience at the courier firm where his late dad, Brian, was a despatch manager. Now, following his father’s sudden and tragic passing in 2015, Samuel has been taken under the wing at Eagle and is enjoying his place within the team, working in operations. After struggling in his final years at school, the youngster has thrived learning on the job, with the management at the Bathgate headquartered firm also supporting Samuel through his important English Higher at College. Samuel said: “Eagle really is a big family – everyone here has been incredibly supportive and I really feel like I belong here. “It is safe to say I did not enjoy the type of learning at school – when I am learning new skills on the job I know exactly what it is for. Brian was a much-loved team member, known for his turn of phrase, and now a number of his famous quotes adorn the walls of Eagle’s Bathgate HQ, commemorating the positive and lasting impact he had on the whole team. 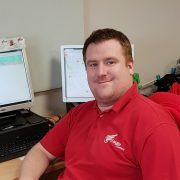 Samuel started full time at Eagle Couriers’ new purpose built Bathgate headquarters in June 2016 and has since tackled roles across the company graduating from input clerk on work experience to working in operations, logistics and even started training in accounts. 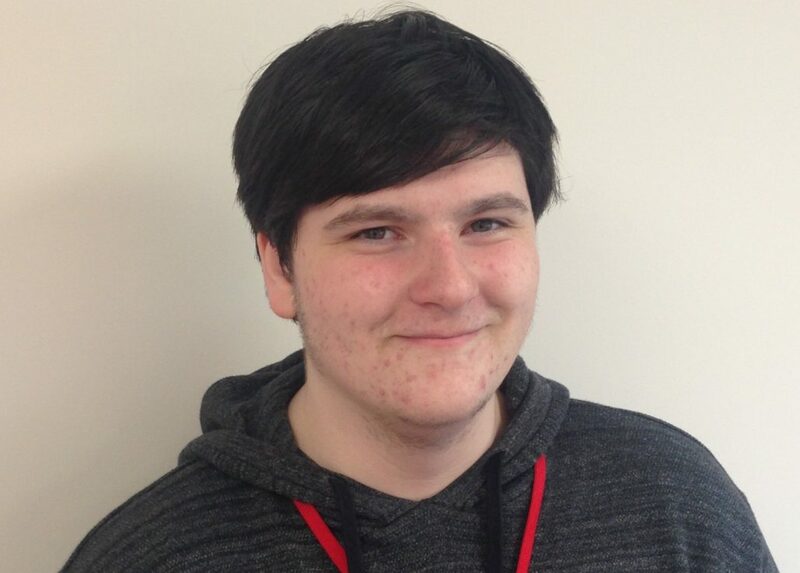 Having gained a handful of National 5s before leaving school, Samuel is being supported in working towards his Higher English at college, demonstrating his continued drive for improvement. Co-Director at Eagle, Fiona Deas said: “We are all delighted to have Samuel on board at Eagle, even if we might have recommended that he join us a little further down the line! “He’s incredibly bright, hardworking and, very importantly, he gets on with absolutely everyone. 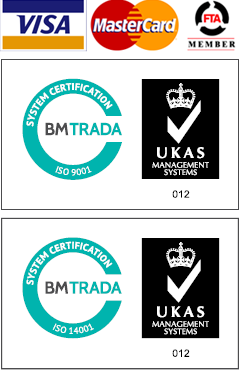 Eagle Couriers has a 3500-strong client base including the BBC and the NHS, public sector organisations and sole traders. As business-to-business experts, Eagle Couriers help other firms operate more efficiently and profitably by safely delivering on time everything from documents, medical samples and engine parts to sports footage, scripts and TV props.